« World Poetry Day 2017! 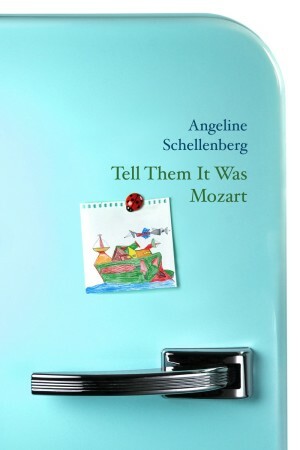 Angeline Schellenberg’s debut collection of poetry concerns raising children on the autism spectrum. The Winnipeg author explores broad topics such as the conflicting and complex emotions of parenthood and how the responsibility of the situation, and its demands, intersect with the differing demands of other aspects in the modern world. Three core concerns surface and combine throughout the collection: social expectations that become difficult or impossible to fulfill for the speaker of the poems, the medicalization of autistic personalities, and how a capitalist culture profits from the combination of the two. Although they treat varied topics to present a fractured, fragmentary series of glimpses into the life and emotions of a parent of autistic children, the poems tend to circle around a core conflict: how a consumer culture exploits feelings of failure to both marginalize and emphasize the emotional turmoil that surrounds autistic children. The fundamental problem of the speaker in these poems is summarized in “The Runaway Housewife at One a.m.,” an early poem that offers some of the more ragged peaks in this emotional landscape. The poem begins, “Leave your husband and son, travel west” (23), establishing total abandonment of the situation as one of the speaker’s fantasies. Quickly, the speaker recovers into a near-joking tone. The next lines, “over the tomato vomit in the hallway, toward / a ghost town—say Sanctuary, Saskatchewan,” (23) start to lessen the impact and shock of that first line, but still maintain and extend the premise of this poem: a fantasy of escape. Impossible escape. The poem offers, as its master image, a woman actually in the process of leaving, poised near the door, who then pauses, listens to the sounds of laundry turning in the dryer—“the clink-clock of your hot buttons / tumbling” (23)—and then collapses into a chair instead, giving up her flight. voices, the selvages you’ve managed to unravel. There is no sin in the stumble to surrender. An incredible amount is happening in these lines, whose density is easy to overlook due to the easy, casual tone and seemingly flippant imagery. The metaphor here, of the mind as an Ikea, matches the domesticity of a conventional parental role. What urban parents haven’t found themselves lost in an Ikea, vainly seeking the one tiny thing their child requires? The comparison here seems simple, and mostly a joke: you get lost in your thoughts the way you get lost in Ikea. That’s an easy way to read these lines, but it is a misreading: this isn’t the Ikea of the mind. The speaker is on a meta-level thinking about her broader situation, and pondering the thought of escape itself—it is the Ikea in the mind that is at issue here. Ikea operates not as a metaphor for the mind (although it also works well as that) but as a metaphor for her situation. Her life, or more specifically, her thoughts on her life are the things she must escape, but from which no true escape is possible. A modern labyrinth, like Ikea, structured to prevent easy flight. You have to buy your way out. The word “selvages” refers to an edge of woven fabric that is supposed to prevent it from unravelling, but it’s useful to misread this word as a portmanteau combining selves and salvages, the suggestion being that she has only barely managed to salvage any sense of self from the situation. This idea proceeds from an intentional misreading but is nevertheless present, and even emphasized, by the use of the third-person you throughout the poem, since the speaker seems to be observing and commenting on herself and her actions and thoughts while disassociating from the very thoughts and self that occupy her attention. The subsequent attempt to convince herself that there is “no sin” in this moment is fascinating when looked at more closely. It’s easy to think this refers to guilt about wanting to leave her family, but in literal terms it refers to not leaving: “the stumble to surrender” here is the collapse out of this fantasy of “finding an exit” and back into her life. She feels bad about wanting to flee, but also feels bad about not fleeing. This is the bind of her situation: she feels a failure no matter what, feels like a coward even in moments of bravery. Why? The answer comes in glimpses, fragments, shards of insight as the collection develops. Other early poems lay out its core: that the medicalization of autism spectrum disorder and its specific pathology, which presents in many ways as anti-social behaviour, combine to prevent the possible adoption of what the social world views as a “normal” parental role and its “normal” emotions, and this leads to anxious feelings of inadequacy and guilt that a consumer culture exploits for profit. Schellenberg holds focus on the emotional landscape here, for the most part, only barely suggesting the wider implications (exploring the emotions more than she explores their sources). but his eyes are calm. I’m Alphie, he says. The final line works not only to conclude the emotional journey of the poem but as an indictment of the medical industry that has failed to diagnose the boy—by contrast, art (here, literature) has rendered the proper diagnosis, given “a name” to the boy’s experience. Extending this logic, the poem itself is operating to “treat” the mother’s/speaker’s own difficult feelings, which cannot otherwise be expressed in any manner acceptable to the wider social world. Like many autistic symptoms, her emotions are anti-social, unacceptable in “polite” society. There are nice details here. The picture frame hangs on the wall, but is empty, since this overworked parent just cannot find the time to fill it—a nice, novelistic piece of description but also a strong symbol for how she is failing to (and feeling guilty for) processing her days into memories since they have become too much about survival and damage control. The wider social world would be horrified by these emotions, and only the poem offers a place (and the peace) to start processing these experiences; in a sense, the poem works to fill the picture frame by “framing” this moment in language within this poem. These meta-moments, where the poems start to display the power of literature/poetry to address, understand, and even find some beauty in the speaker’s difficult experiences stand in stark contrast to how the medical industry is presented as approaching the “problem” of how to live this unique life. Only in capitalism, perhaps, do we see a twin process of valuing individuality while attempting to destroy it. The perfect subject/self in a consumer culture is the individual just like everyone else, who buys products meant to display their own unique, personal “style”—each of which is emblazoned with the same logo everyone else wears. The poem continues to loop like this, its form expressing the problem: it’s a loop, and also a chain, where one product necessitates another product and the overall impression is of an industry built on addressing issues it creates. While Schellenberg stops short of indicating the medical field, which the speaker of the poems seems to turn to and appreciate in moments, the overall impression is of frustration at its fundamental inability to help fully due to its drive to medicalize her children’s conditions and “treat” them as problems to be solved. The ultimate goal, from a certain extreme point of view, is to erase the personalities of the children that she loves despite the challenges their personalities present. In the poems, by contrast, she can celebrate their uniqueness without blinding herself to its challenges and sadnesses. Schellenberg’s poems often return to this frustration, this sadness, but with a touch of humour. As far as the poems seem concerned, these feelings stem, in a sense, not from the situation of raising autistic children so much as the cultural baggage that surrounds this situation. The title, Tell Them It Was Mozart, arises from this disconnect between what the speaker feels like she should do and how she should feel versus what she can/does do and how it’s possible for her to feel. “Play punk rock [to the child in the womb] (but tell them it was Mozart)” (78)—like it’s supposed to be.